For the last three months, serious American historians having been asking each other just one question: Is Nancy Pelosi the worst Speaker of the House in history? Already, she has thrown a fit over getting a bigger plane to fly over the Red States. Her own party shot down her attempt to raise racketeer Jack Murtha to Majority Leader. Her incompetence is exceeded only by her sheer idiocy. Thus far, she has led a mindless agenda to stamp out jobs for minority teens, to stifle pharmaceutical research & development, as well as to end petroleum exploration & investment. Now her surrender monkeys have decided to hand Iraq to the Iranian mullahs on a silver platter. What lunacy will be next? Can we survive two years of this dementia? Yeah, if only we could go back to the good old days of high morality and true, selfless government service under Newt Gingrich. True. But we are stuck with this loser. She has thrown a fit over getting a bigger plane to fly over the Red States. Wrong. The Pelosi plane story was a totally bogus smear job put out by the likes of Rush Limbaugh which was then mindlessly parroted by Grimwulf's supposedly liberal media. The Air Force plane for Pelosi was requested by the House sergeant-at-arms, not Pelosi, for security reasons that even the White House admitted were totally legitimate. Because she's third in line to the Presidency. Pelosi herself was willing to fly commercial. Now her surrender monkeys have decided to hand Iraq to the Iranian mullahs on a silver platter. Pathetic. The person who is responsible for installing a pro-Iranian government in Iraq is Bush. He was warned of the stupidity of this before the invasion, but he did it anyway. Trying to blame Pelosi for this is total bullshít, though fairly standard for you and the rest of the chickenhawk brigade. If this is an example of your political insight, you should stick to trying to prove the existence of God by citing Bible stories. Or something. E: By the way, what "serious American historians? Let's hear who these brilliant scholars are. If this is an example of your poitical insight, you should stick to trying to prove the existence of God by citing Bible stories. Or something.
. I have NO clue about who's right here, but that comment was . That's easy. I'm right and Grtimwulf is as wrong here as he generally is. 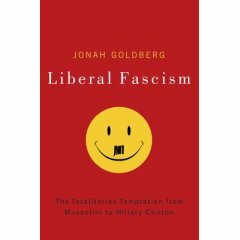 Let me guess, they are "serious" historians in the same sense that Jonah "Hillary Clinton is just like Mussolini" Goldberg is a "serious" pundit. WT, I thought you had a sense of humor. Maybe it was just well-disguised malice. Go back & reread your partisan, liberal sources more closely. The sergeant-at-arms advised Pelosi of the possible use of an Air Force jet. Your own sources do not go so far as to say that the larger plane was his request or his idea. And just because President Bush is both polite & nice does not mean that his generous spin is the only reasonable interpretation. And I know you would never give a conservative the benefit of as much doubt as you have scrounged up for Speaker Pelosi. Right now, Bush is trying to win. He has found a good general & provided additional troops for a plan that has a good chance of securing Iraq — if it is given the chance. And Pelosi is trying to take away that chance. Her actions are truly pathetic, craven & despicable. And the defense of those actions is pathetic. Name-calling. The last resort of the truly embarrassed. You have no right — none whatsoever — to call me a chickenhawk. The charge is unkind, untrue & ungracious. Never mind. I don’t need to go there. Name-calling. The last resort of the truly embarrassed. Like "surrender monkey", you mean? That’s a perfectly accurate description. Your own sources do not go so far as to say that the larger plane was [the sergeant at arms'] request or his idea. "As the Sergeant at Arms, I have the responsibility to ensure the security of the members of the House of Representatives, to include the Speaker of the House. The Speaker requires additional precautions due to her responsibilities as the leader of the House and her Constitutional position as second in the line of succession to the presidency. The fact that Speaker Pelosi lives in California compelled me to request an aircraft that is capable of making non-stop flights for security purposes, unless such an aircraft is unavailable. at "partisan, liberal sources". The "partisan, liberal source" simply quotes the statement by the sergeant-at-arms - you know, the person involved in the story. In any case, Pelosi did not "throw a fit". That was a totally inaccurate description of what heppened. If you can't admit that, you're simply dishonest. Period. And- don't forget to identify these "serious American historians" who have been debating whether Pelosi is the worst Speaker in history. C'mon, I for one am quite curious - who are these scholars? Pelosi has already made false statements regarding Olmert and Israel. Why would anyone dismiss this embarrassment? You have no right — none whatsoever — to call me a chickenhawk. Chicken-hawkism is the belief that advocating a war from afar is a sign of personal courage and strength, and that opposing a war from afar is a sign of personal cowardice and weakness. Your comments about Pelosi's "cravenness" (and my "patheticness") show quite clearly that you are a chickenhawk under this definition. So I do have a right. And in any case, you sound ridiculous opening a new thread by sneering at "surrender monkeys" and then whining about name calling. Try taking that beam out of your eye, it might improve your perspective. Exactly. Although that might be one of those pesky "metaphorical" passages. bombadil> Not entirely on subject, but your post reminded me of this article I read earlier today. Martin makes some good points, IMHO, though I think there are also important points only hinted at in his commentary. well, if you're ready (already!) to claim Pelosi is the worst Speaker ever, then I guess I'm ready to claim the worst President ever. And what a coincidence - they're both serving at this very moment. Go figure. Damn ferners. Let's go nukular on 'em! edit: And Éoric, great link. But then, it's from cnn.com, so it must be left-wing biased smear. Must be. edit 2: check out the vote on that link's quick vote "If Jesus lived today, what do you think would be his top priority?" By the way, the Democrats’ Iraq bill – which Grimwulf describes as “pathetic, craven & despicable” – is supported by a solid majority of Americans. The most recent Pew Research poll shows that nearly six-in-ten (59%) say they would like to see their representative vote for such legislation, compared with just 33% who want their representative to oppose it. So, so since Grimwulf says defenders of this approach are “pathetic”, I guess he thinks 60% of Americans are pathetic. Wow. That attitude sounds so . . . European. Yeah... get rid of Pelosi already! She's no fun... she doesn't put her foot in her mouth as often as this guy. Great. Gingrich was guilty of knowing history. Not that the right-wingers at CNN would ever take his commments out of context.